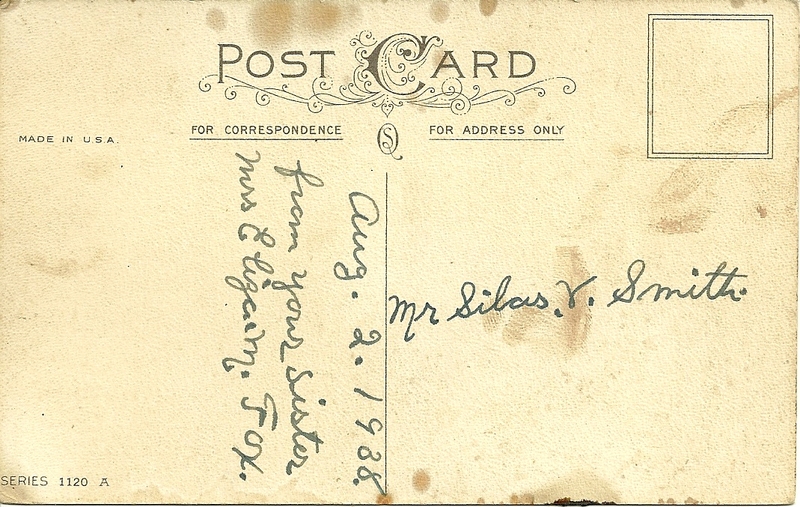 Birthday Postcard sent by Mrs. Eliza M. Fox to her brother Silas V. Smith, on August 2, 1938. I found an Eliza Smith of Stow, Maine, who married Augustus W. Fox of Lovell, Maine. What's throwing me is that Eliza had an uncle named Silas V. Smith, but I didn't find that she had a brother by that name. However, Silas V. Smith married a woman named, according to the Maine Marriages online database, Gracie M. Smith of Stow. Could this have been the same Grace who was the older sister of Eliza? If so, then Silas was not only Eliza's uncle but also her brother-in-law, and that would be the source of brother/sister relationship. Eliza was born in Maine in April 1896, the daughter of James M. and Emma Lucretia (Lowe) Smith of Stowe, Maine, in Oxford County. After her marriage to Augustus W. Fox, she lived in nearby Lovell, Maine and had at least two sons. 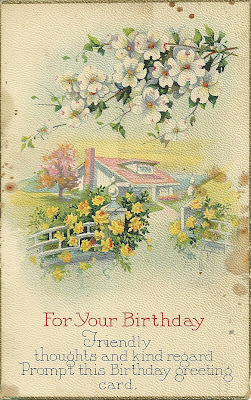 I believe Augustus, born about 1883 in Maine, was the son of John and Stella Fox of Lovell. 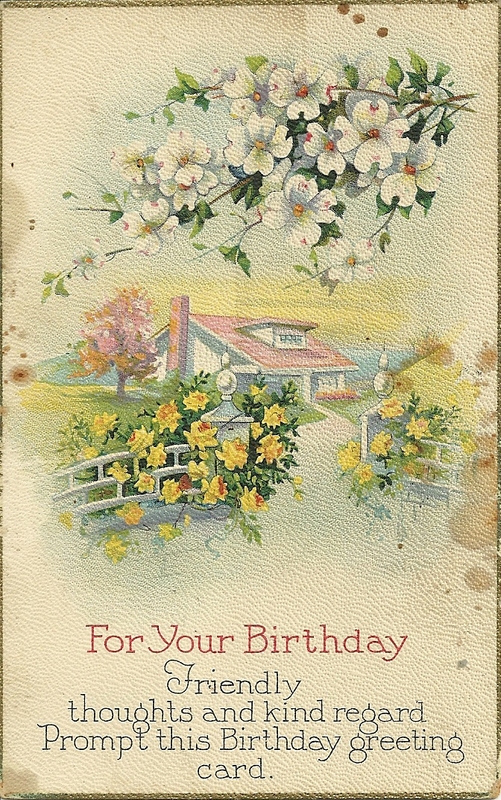 Silas V. Smith was born in Maine in August 1884, the son of Salmon and Elizabeth (Betsey) L. (Nickerson) Smith. Salmon Smith and James Smith, Eliza's father, were brothers, sons of Simon and Mary Ann Frye (McKeen) Smith. 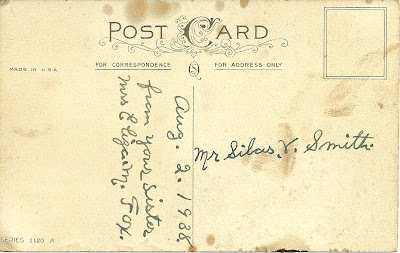 Silas married Gracie M. Smith 12 October 1907. I don't know if the couple had any children, but there were none living with them in the 1910, 1920 and 1930 Censuses. If you have any corrections or additions to the above information on the Smith and Fox families of Oxford County, Maine, please leave a comment in the comments box or contact me directly.